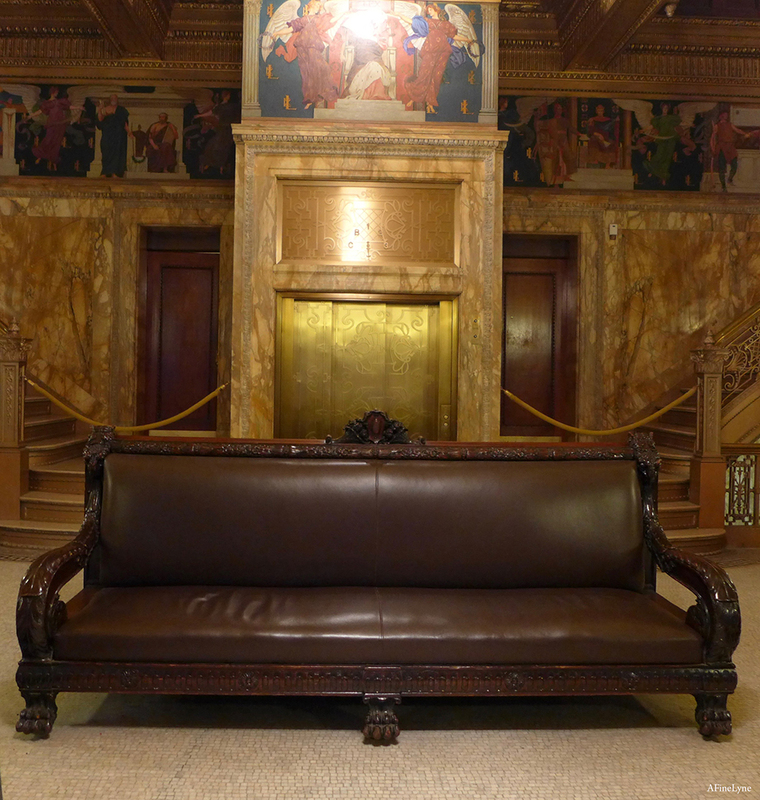 Up the steps, and into the lobby of the historic Appellate Division Courthouse, visitors are greeted by a grand lobby with mosaic flooring and Sienna marble walls. The original Herter Brothers furniture is placed throughout. 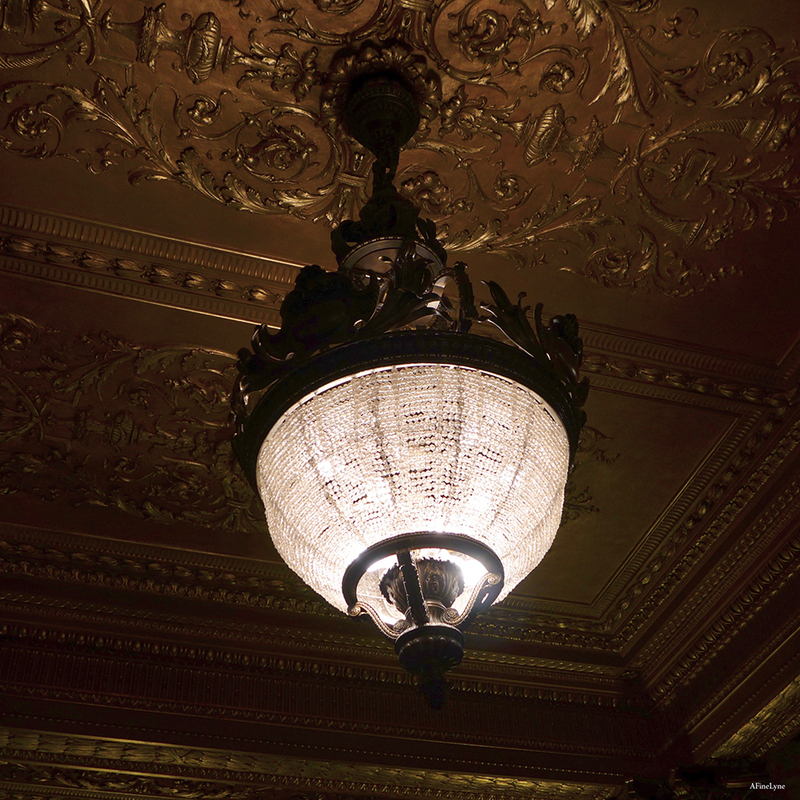 Looking up you’ll see a gilded coffered ceiling, with a bronze and glass chandelier. We weren’t permitted to photograph the interior courtroom, with its 18-foot high ceiling, and stained glass dome, and very few images of the room exist online. The building consists of a first floor courtroom located just off the grand lobby. The second floor houses the library, Judges’ private rooms and other court-related offices. The third floor houses a private dining room and kitchen for the Judges, along with janitor’s apartments, storage rooms and an office. Ten artists were selected for the interior of the courthouse, which among other things, boasts twenty-seven leaded glass windows. 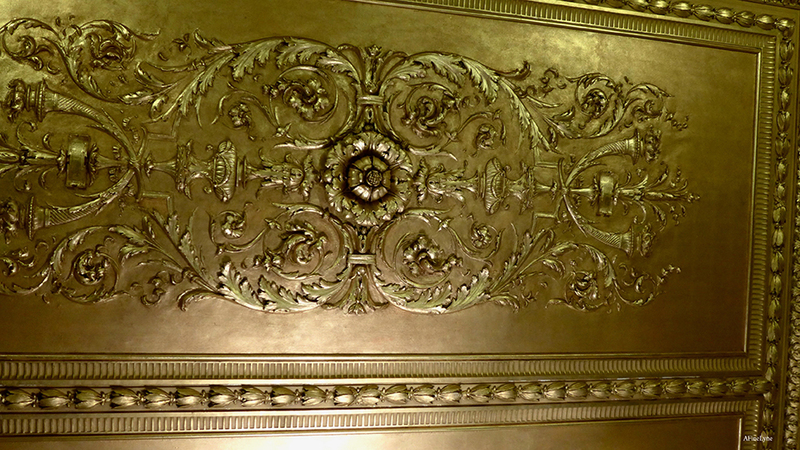 The ceiling dome was created by Maitland Armstrong. Toward the base of this dome are seals of the State of New York and County of New York, along with surnames of all Justices of the Appellate Division from its founding up to 1955. After that date, only Presiding Justices are listed. After each Presiding Justice retires, his/her name is added to the dome. 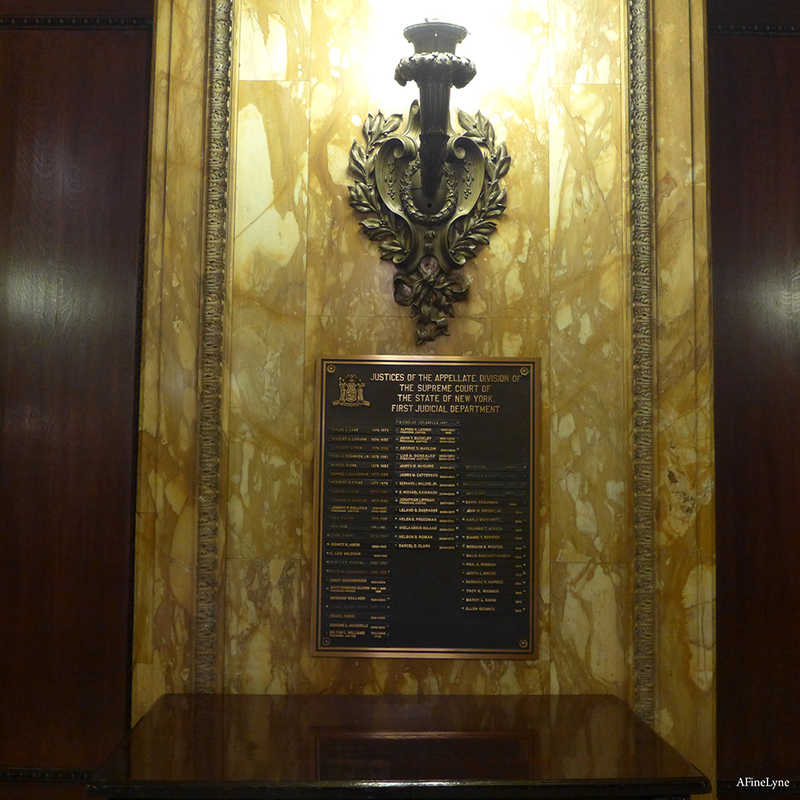 The Associate Justices are listed on plaques in the lobby. 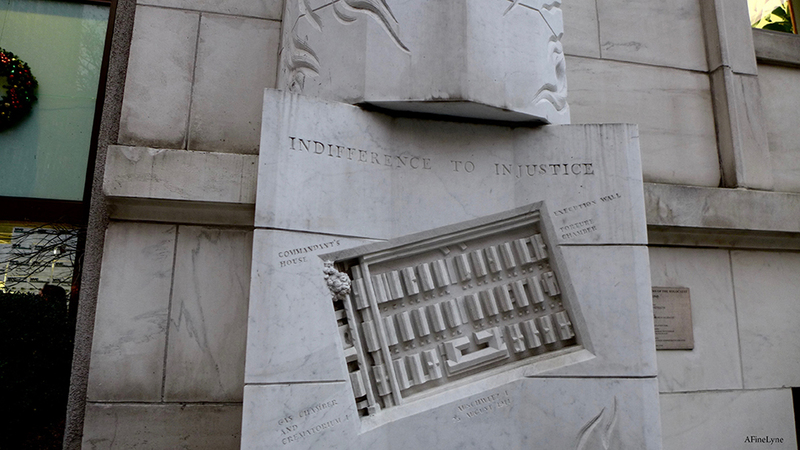 In our featured image of the courthouse building, you will notice marble statues on the roof, which are of ancient lawgivers, created by the National Sculpture Society. The building was designed by architect, James Brown Lord, who was given a budget of $700,000 ~ a huge sum at the time. He came in a little under budge, and the courthouse opened its doors on January 2, 1900. 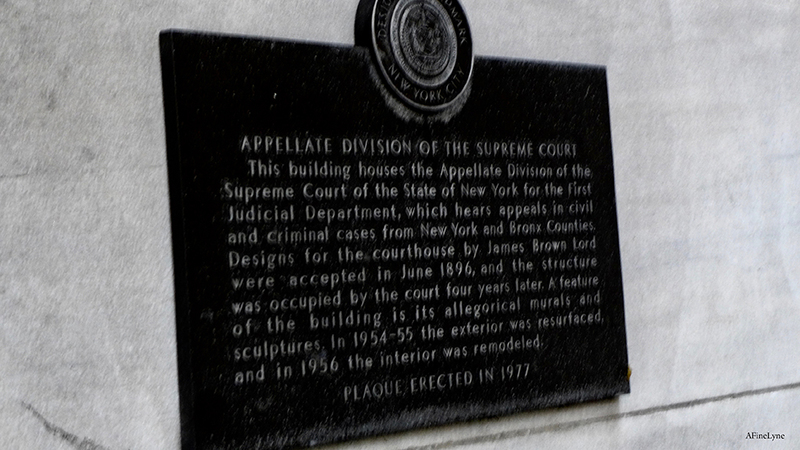 The courthouse exterior was designated a New York City Landmark in 1966, and the interior in 1981. it is also listed in the New York State and National Registers of Historic Places. 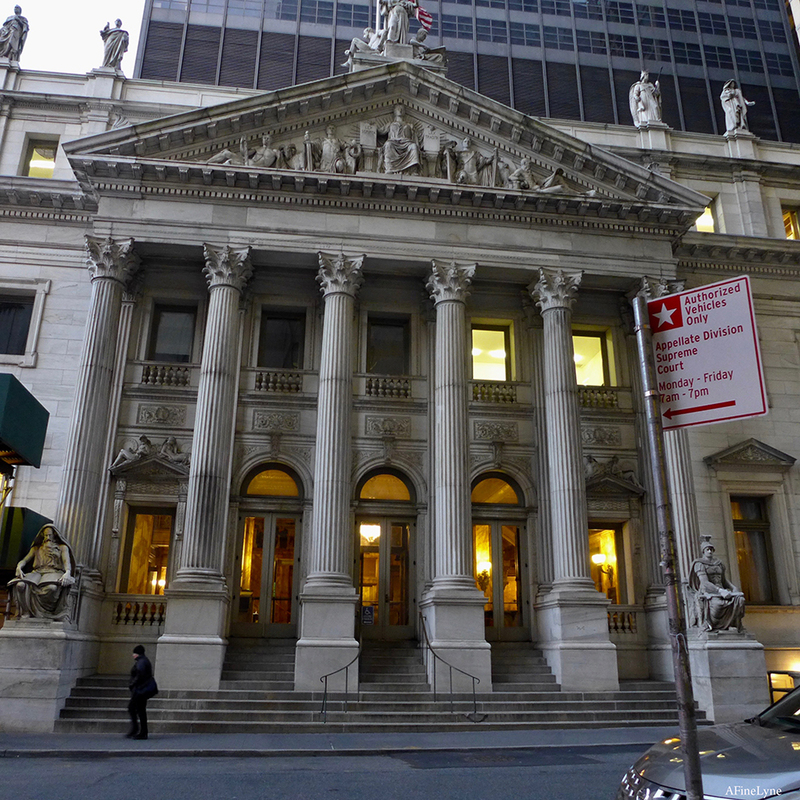 Appellate Division Courthouse is located at 27 Madison Avenue at 25th Street. The public is welcome to observe court in session, however no photography is permitted. While you’re there, Check out the five beehives in Madison Square Park, and the Park’s current art installation, “Full Steam Ahead” by artist Arlene Shechet, still on view to April 28, 2019. Find your way with a watercolor print of the map, Union Square to Madison Square. You are lucky they let you get what you did! These old courthouses are beautiful but the guards will not let you foto most of them. I’ve shot with my fone in lower Manhattan and they go crazy if they see you. Must be sneaky! 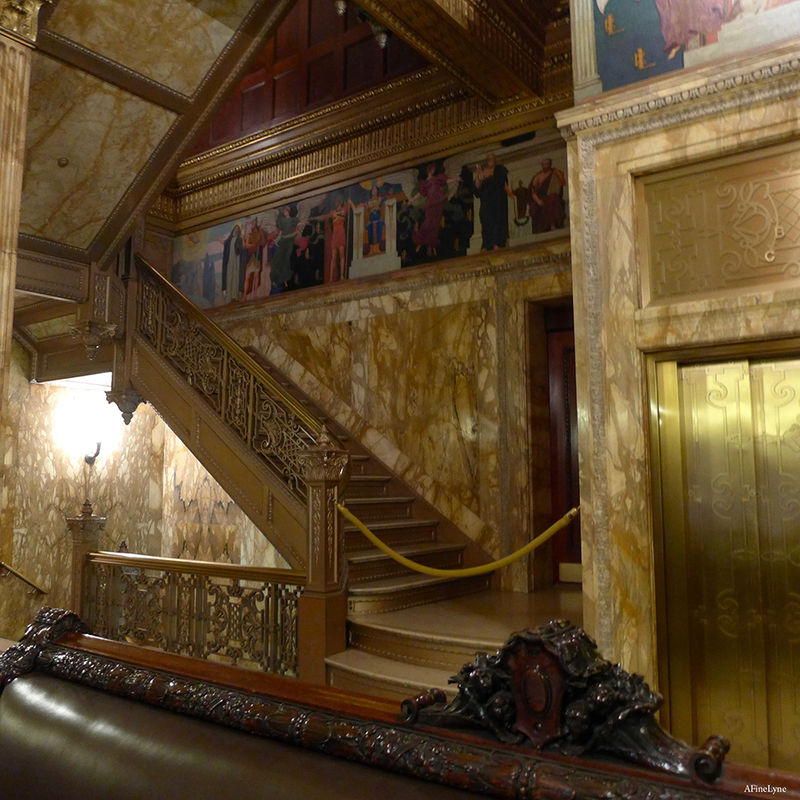 The guard was quite fine with taking a few photographs of the lobby. But I know, not all government buildings allow.